Smoke and Mirrors: Aspartame: The Product That Makes the Funeral Director's Life that Much Easier. Aspartame: The Product That Makes the Funeral Director's Life that Much Easier. I mean, come on...haven't you noticed how waxy people look lately? Some even exhibiting that "in the coffin" glow? Anyway, it's really hard to avoid embalming yourself aspartame that's 180 times sweeter than sugar, as it's in everything from gum (aspartame works like nitroglycerin under the tongue, goes through saliva straight to the brain) to diet drinks to yogurt to Metamucil, and everything in between. 40% aspartic acid, an excitotoxin that literally stimulates neurons to death causing brain damage. 50% phenylalanine, which comes with a PKU warning for those who can't metabolize phenylalanine. However, it's a wonder anyone can, as phenylalanine floods the brain as a neurotoxic isolate, which lowers the seizure threshold, and depletes serotonin. As we know, this can cause a variety of psychiatric behavioral problems, and if you're already taking an antidepressant, it most definitely interacts with it. 10% methanol, free methyl alcohol, which is basically what converts to formaldehyde and formic acid. "More than 90% of all FDA complaints are attributed to Aspartame, yet the very same government agency that is supposed to protect us is allowing these poisons in our food supply. Some of these excitotoxins are chemicals that we have been fooled into thinking will help us live longer and healthier lives." And I might add, thinner lives. And-possibly due to ​aspartame's endocrine disrupting properties-it will not help you keep the weight off! Conversely, it fattens you up, because it creates carbohydrate cravings. Sneaky bastards don't want you cutting out the carbs...that might eat into their profits, after all. Therefore, one could conclude that aspartame plays a part in the current obesity epidemic, not to mention, the rapid increase in the diabetes rate. Not only can aspartame precipitate the disease, it can stimulate and aggravate diabetic retinopathy and neuropathy by destroying the optic nerve; can cause diabetics to go into convulsions; and the methyl alcohol can interact with insulin which may cause loss of limbs. According to Dr. Betty Martini, there are records that show aspartame was listed by the Pentagon in an inventory of perfected biochemical warfare weapons submitted to Congress. Which leads right into Rumsfeld and Reagan's role in getting this "biochemical warfare weapon" approved for human consumption. In September of 1980, the Board of Inquiry (FDA) concurred and denied the petition for aspartame'. In 1985, Donald Rumsfeld, Searle Labs, CEO, at the time, said he would "call in my markers" to get aspartame approved. The next day, President Reagan (Rumsfeld was on President Reagan's transition team), at 3 AM, placed a call to FDA Commissioner, Jere Goyan, and fired him, knowing it would take 30 days to get someone in to overrule that Board of Inquiry. President Reagan then wrote an executive order, making the FDA powerless to do anything until the newly appointed Arthur Hull Hayes took over. According to Dr. Martini, President Reagan may have promised Rumsfeld the VP position, and when he chose Bush; Rumsfeld felt Reagan owed him; hence, the "call in my markers" remark. And, there you have it: "the nature of the game". We seem to hear a lot about mass murderers these days: insane, demonic sociopaths who thrill to the terror and agony they inflict. On a gigantic scale history names great masters of destruction: Who can number those slain by Hitler, Stalin, and Mao? To collect such a stupendous price the mind of the people must be saturated with propaganda, packaged lies relentlessly fire-hosed into the public consciousness until the world is upside down: evil is virtue; slaughter is holiness, dying for the emperor, the fatherland and the 1,000 year Reich or a twisted religion is the supreme glory. All these crimes breed in the egocentric brains of ambitious morally stunted men full of hubris and hate, consumed with pride & greed. The same greed, the same hubris, the identical fatal fanaticism resides in the boardrooms of gigantic corporations. Consider Enron, WorldCom, Arthur Anderson and the French medicos who released AIDS-contaminated blood for transfusions. When the crime surfaced these guardians of health sold the sewage to poor nations there to infect millions for generations to come. Heinous condemnation of millions to lingering death! Would not a fair price be to infect these despicable, heartless human scum with their own vaccines? Instead these lords of liquidation with lettered names retire to their chateaus, servants and limousines to tally blood money. Twenty years later they dine in smart cafes and saunter the streets of Paris unpunished! The crime was so deep, the bloodguilt so broad, that a hundred mass murderers got a free pass! "O the Humanity, the Humanity." Congressional Record - Vol. 131 No. 58 - May 1985 Links to pdf version on Dr. Martini's site. Congressional Record 1985b. "Aspartame Safety Act," Congressional Record, Volume 131, No. 106, August 1, 1985, page S10820-10847. Links to pdf version on Dr. Martini's site. In Searle's original studies they were caught removing brain tumors from the rats and putting them back in the study. Dead rats that died were resurrected on paper. Neoplasms were filtered out. FDA Jerome Bressler's honest Audit Report exposed it all. After he retired from the FDA I thanked him for his honesty and courage in telling the facts. He told me his report was much worse, but the FDA retyped and removed the worst 20%. He also discussed this with Doctors H. J. Roberts and Russell Blaylock. Doctor H. Roberts asked his congressman to have the FDA release this 20%. They refused, claiming it was confidential. In denying a Congressman this data FDA broke the law, but they do it all the time, as they're a law unto themselves, like you! Bressler's report wasn't confidential, it was just so bad that FDA couldn't let anyone see it. Veritas with Mel Fabregas - Great show. It's supported 100% by subscriptions, and it's worth every penny...and a whole lot more. No censoring. No advertisements. No interruptions. Mel asks great questions and he makes it all about the subject, giving his guests all the time they need to explain. Not to mention, his guests are the most interesting guests I've ever heard. Mission Possible World Health International Dr. Betty Martini's website. She is the founder of the global volunteer force, Mission Possible International, which is committed to removing the deadly chemical aspartame from our food. She has been doing this for 14 years with operations in most states and over 30 countries of the world. She works with the world experts who write the reports you will find on their web pages. She spent 22 years in the medical field before this, and created the first health delivery system in the US. She can be seen in the aspartame documentary, Sweet Misery: A Poisoned World. This is so not true. I chew sugarless gum all the time and I have none of the things you post about. You are straight up fear-mongerer and need to get a life. Do you know anything about sucralose (Splenda) or Stevia or Xylitol? I know the aspartame is poison. When I had an ant problem, I sprinkled NutraSweet around my kitchen to see what would happen and they disappeared. I haven't had a chance to do that with Splenda because I haven't had an ant problem. I'm almost hoping they come back, haha. Well, I'm certainly no expert. I'm just posting what I can back up with what appears to be credible information, as much as that's possible. But, according to Dr. Martini, sucralose is not much better than aspartame. She was told it causes mammary tumors, however, keep in mind it hasn't been around as long, either. Sucralose is a chloro-carbon, where hydroxyls were changed out for chlorine. IDK about you, but that doesn't sound all that appetizing. As for Stevia, in it's natural green form, it's perfectly safe. The problem is that a lot of companies will highlight or advertise the "safe" ingredient while masking the poisonous ones. Re xylitol, she briefly said there was one study showing it may cause brain damage, but she didn't seem to know all that much about it. I chew gum all the time so I'm going to try xylitol... can't be as bad as aspartame. Beware of anything with natural or artificial flavors/ingredients. Companies can hide toxins easily if let's say the amount is beneath the requirement to disclose. just google brain tumors recipe for death betty martini to read the really horrible truth about how ajinomoto keeps pumping this poison out all over the world. keep up the good work! We are trying to get it banned in Hawaii, but have failed in New Mexico because of corporate lobbyists from Ajinomoto, Diet Coke, etc. Excellent article! I will add it to my links. Good luck with your efforts. It's all so confusing! It's like a viscous circle because most people don't think about this until they're so sick they can barely lift their head. Yet, they make it so hard to be healthy, that by the time you wake up to what's going on you're too sick, or too POOR to do anything about it. I really like your blog, by the way and thank you for all the information! Why do you have Rudy's picture post here? Wouldn't Rumsfeld's be more apropos? The organic laws since GMOs caused many people to start eating organic now allow “food” corporations to start labeling their products as “organic” as long as they contained 25% natural organic ingredients. So when you see "organic" more than likely it's really not. Rather it’s 1/4 natural and 3/4 GMO. Good point. 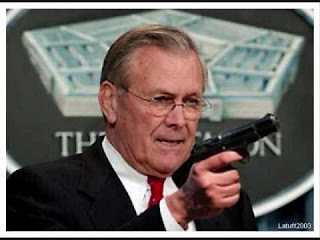 Rumsfeld is much more relevant. I posted Rudy because when I searched under, embalmed, (and another word)...his picture popped up as an example of a person who looked embalmed, lol. So, um, yeah, inside joke with myself... shouldn't have expected anyone else to get it. I think I'll swap it out for another picture. always bear in mind that when choosing a , you may think that it's best to go with a trusted name or a funeral home that your family has used in the past. However, you need to be aware that there are significant differences in pricing among funeral homes, and the funeral home you have trusted in the past may not be the best financial choice. Sounds crazy to me. However, I was educated with your blog and got to read related articles about aspartame and glutamate. Good thing, I came across your blog. It has added knowledge to me and to readers out there. The particular Women's North Experience Titanium Coated Milano Jacket is a [URL=http://www.northfacejacketsforsale.net/#564]north face promotion code[/URL] with most in the features of any technological ski jacket, but you will find a few aspects from the jumper that may turn off some possible buyers. First, the good: The [URL=http://www.northfacejacketsforsale.net/#1178]north face promo code[/URL] is extremely warm without getting bulky or limiting flexibility of movement. It is actually four circumstances a lot more wind resistant then [URL=http://www.northfacetriclimate.org/#1037]north face outlet locations[/URL] fleece as a result of its proprietary yarns that are tightly woven to block the wind.Polartec Winter Professional - This can be deemed the warmest of all fleeces and is also available in a multitude of textures and designs.Polartec Power Dry - This fleece takes advantage of a bi-component knitted design and style that actually [URL=http://www.northfacetriclimate.org/#1037]north face outlet locations[/URL] to maintain your skin dry by moving percent far more humidity out of your pores and skin to its outside the house floor then one part materials. Because of this reason players nowadays look for a company's [URL=http://www.northfacetriclimate.org/#608]north face outlet store[/URL] in choosing their sports equipment and regarded them among the reliable brands highly recommended to be used in any sports events. His or her brand logos found in each [URL=http://www.northfacetriclimate.org/#990]north face outlet[/URL] sport which talks how far they have gone through via what it started as a simple retail store.